The tomb of the giants is an enormous Sardinian gallery grave. 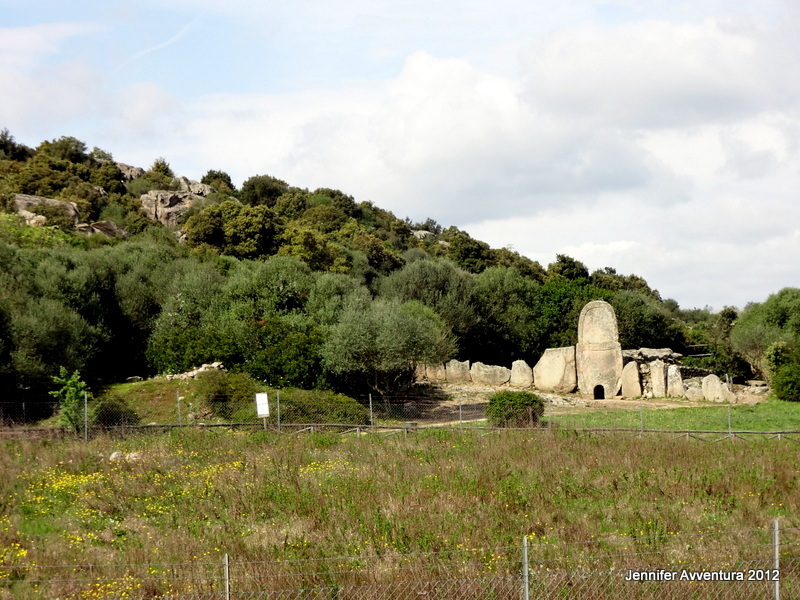 Built during the bronze age by the Nuraghic civilization, it shows the true strength of the Sardinian people during the megalithic period. 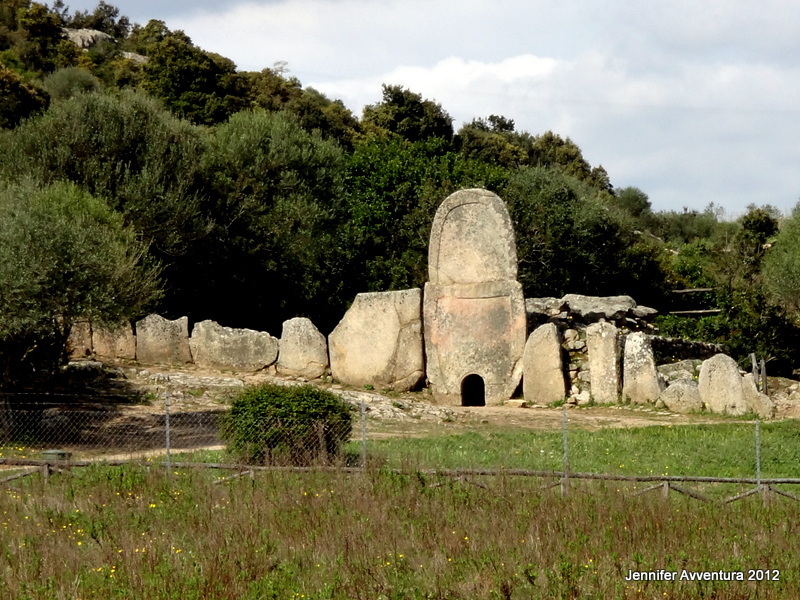 The Giants Tomb of Coddu Vecchju is a few kilometers down the road from Li Lolghi in Arzachena, Sardinia, Italy. These mysterious tombstones are thought to be the remnants of Atlantis. We didn’t venture around Coddu Vecchju as a bus load of tourists had just arrived. I snapped these pics while driving along the road. 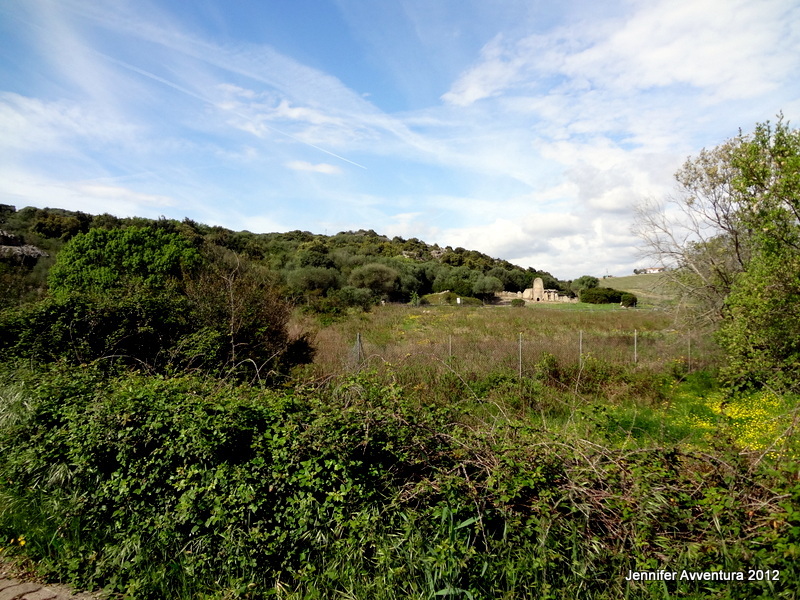 Over 350 tombs have been found scattered throughout the island. The small arced entrance at the bottom of the stone slab is not a door leading into the massive grave. It’s a passage way for the spirits whom rest in Coddu Vecchju. Have you roamed where giants once played? Hi, thanks for your info. I am looking for artifacts depicting birds and patterns used in the art/staues of this time. Where can I find photographs please? Was a bird symbolic in any way to them? I really have no idea, sorry I cannot be more help.